Visit SPACE.com to explore a new NightSky feature each Friday. SKY MAP: The scene as of 9 p.m. from mid-northern latitudes on Sept. 2. 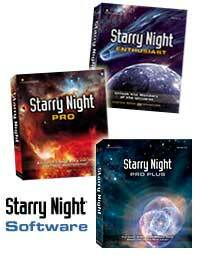 Easy-to-use telescope that will provide years of high-resolution viewing of night sky treasures. On these late summer evenings after the Sun has set, look low in the south for the classical Archer, Sagittarius. Traditionally a centaur (half man, half horse), it's one of two such creatures in the sky. The other is Centaurus, a large, complex star pattern best viewed in the spring from far-southern localities. Although often depicted in allegorical star atlases as a centaur, long ago he was not a centaur at all but simply standing Archer (looking with some apprehension toward the Scorpion immediately to his west). Although tracing out an Archer-Centaur among Sagittarius' stars does require some imagination, visualizing it, as a Teapot is quite easy. In fact, it is the teapot and not the archer that is portrayed on our star charts. As star pictures go it's one of the best. More than a quarter century ago, the late astronomy author, George Lovi (1939-1993) pointed out that we could augment our tea service with a teaspoon and lemon as well! The teaspoon comprises stars in northern Sagittarius, while the lemon is an alternate rendition of the faint constellation Corona Australis, the Southern Crown, which lies directly beneath the Teapot. Now is also the best time to enjoy viewing the summer Milky Way. Never visible from large cities with their lights, smoke and haze, it can still be readily viewed from distant suburbs and rural locations. Before the invention of the telescope, the true nature of the Milky Way Galaxy ("Gala" is Greek for milk) was a mystery. Binoculars and telescopes reveal that the galaxy consists of dense clouds of individual stars. Several clouds of stars surrounded by a few dark regions for contrast can be seen with binoculars in the area of the Milky Way about halfway between Altair and Sagittarius. About two-fifths of the way up from the star Al Nasl northwest to Theta Ophiuchi lies the direction of the center of our Milky Way, appearing as a veritable cloud of stars. Here lies the "hub" or central condensation of our own galaxy; an area of density and complexity. Even to the unaided eye, the view is one of excitement and beauty. Sweep up with binoculars from the Scorpion's tail, through the Summer Triangle, and down to Cassiopeia and Perseus. You'll find concentrations of stars, clusters, large apparent gaps such as the Great Rift in Cygnus, and more stars than you thought existed. The Sagittarius Star Cloud, about 30,000 light years distant, seems to be the nucleus, with the Sun and all the outer stars of the outer stars of the galaxy turning at the rate of 155 miles per second. It requires about 200 million of our Earthly years to make one complete revolution, or one "cosmic year." Its outer edge is about 20,000 light years in the opposite direction. This is "Our Galaxy," to be spoken with pride, just as we would say, "My House." Via Lactea is the Latin for the system's appearance in the sky. For the same idea the Greeks used gala and kyklos, meaning milk and circle – hence our word galaxy. The English poet, John Milton (1608-1674) once wrote of the Milky Way as a "broad and ample road whose dust is gold and pavement stars." When we began to realize that there were other such vast congeries of stars, we called them "island universes," but this was an obvious misnomer; since the word universe means everything there is, it can hardly have a plural. So we've settled on galaxies, which is a compromise as a new meaning for an old word. 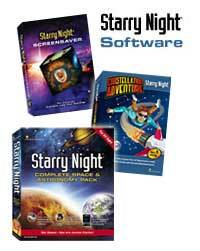 Astronomy for the Entire Family!